So, let’s talk about the most important thing of all when it comes to travel IMOP: food! Yummy, delicious food. I love trying the local cuisine when I travel and Prague was no exception. I usually base my picks on Tripadvisor ratings and recommendations from other travellers, hostel staff, and guides. Taxi drivers are also great sources when it comes to local, traditional food. 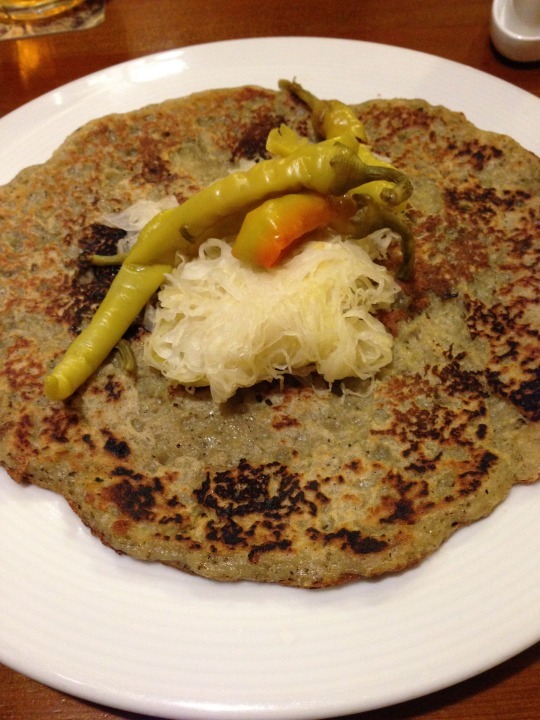 Czech cuisine is similar to other Eastern European countries, which means lots of meat, potatoes, and pickled veggies. 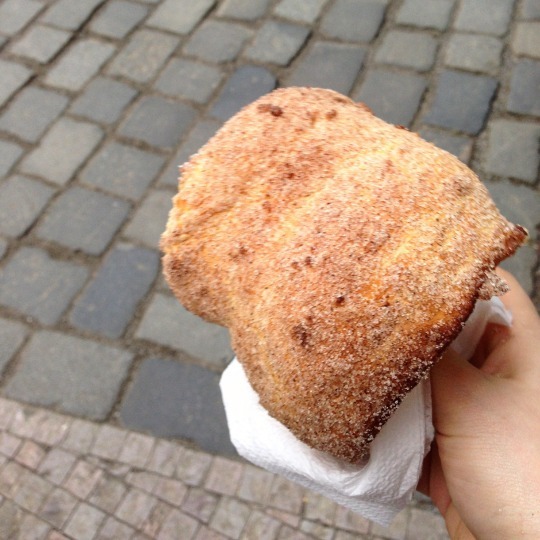 This delicious pastry can be bought on pretty much every street corner in Prague. Bread dough is rolled on a pin and grilled after which it is sprinkled with cinnamon sugar. It can also be filled with ice cream, fudge, chocolate or whipped cream, and they are made to order. Warm and toasty, these remind me of campfires and Christmas. So good! Each Eastern European country seems to have their own version of goulash and the Czech one is delicious as well. It is served with fluffy steamed bread dumplings, the perfect accompaniment to the hearty beef stew. Prague is a meat eaters paradise. Next to the Trdelník stands, sausage carts dominate the streets. Whether a quick snack or a midnight feast, they serve delicious spicy grilled sausages that will make your mouth water. Not technically a food, but who cares. 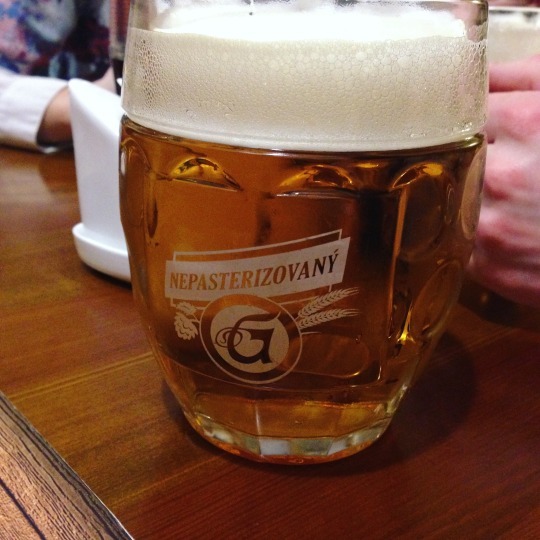 Beer is plenty and tasty in Prague. Enjoy some of their fine local brews in a traditional restaurant or pub. It is much better than say, Heineken (I can say that I’m Dutch) and very affordable. Cheers!